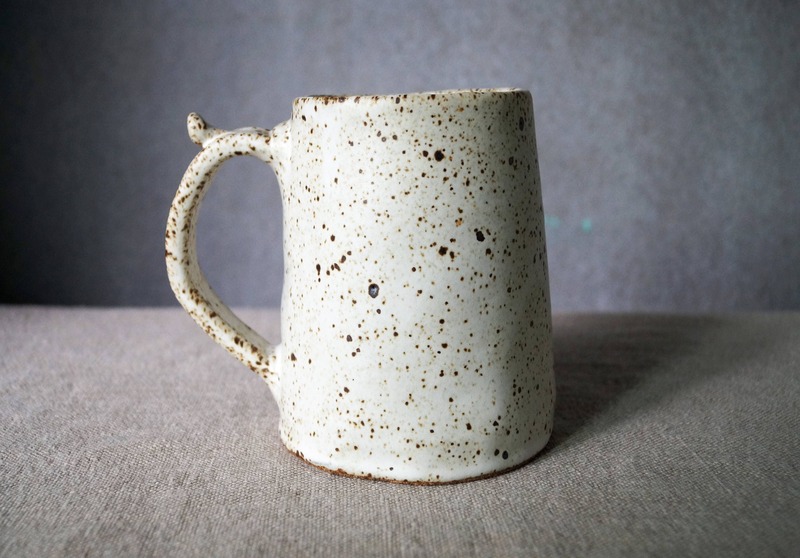 Handmade Ceramic Beer Stein, Free Shipping, Speckled Rustic White Glaze,Shh... Yep, I Hear A Beer Calling Me Stein, Pottery Gift for Him. 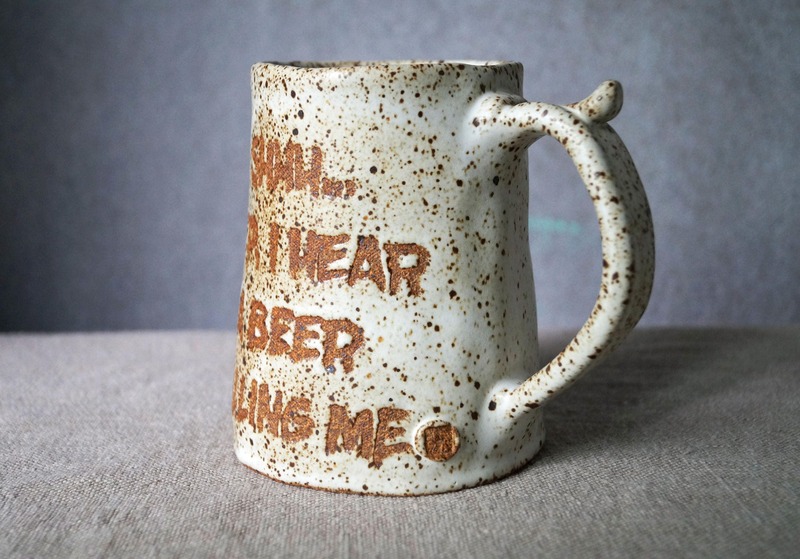 Handmade Ceramic Beer Stein, Free Shipping, Speckled Rustic White Glaze,"Shh... Yep, I Hear A Beer Calling Me" Stein, Pottery Gift for Him. 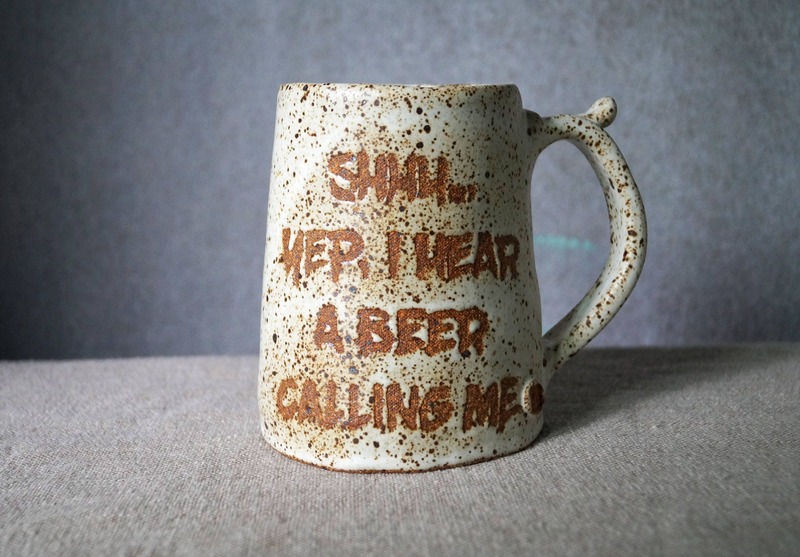 This is unique-one-of-a-kind handmade ceramic beer stein with sign" Shhh... Yep, I Hear A Beer Calling Me". 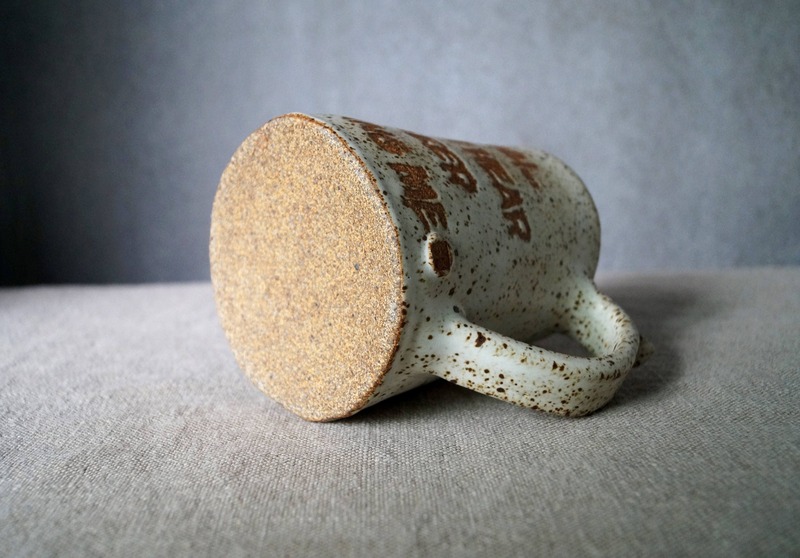 Smooth to the touch and perfect for holding your favorite beverage. Light weight and will feel great in your hand even when it is full. 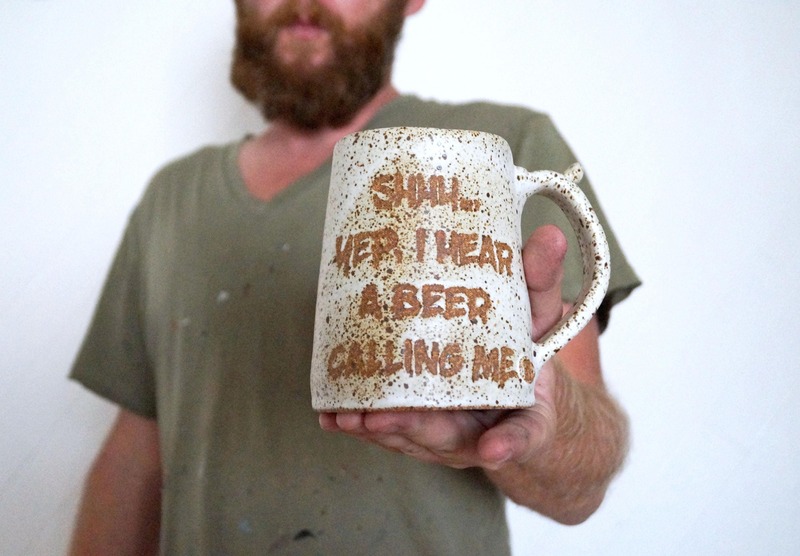 It is completely unique since each mug is created and textured by hand. The stein fired to cone 10 (2350 F/1330 C) in a gas kiln. 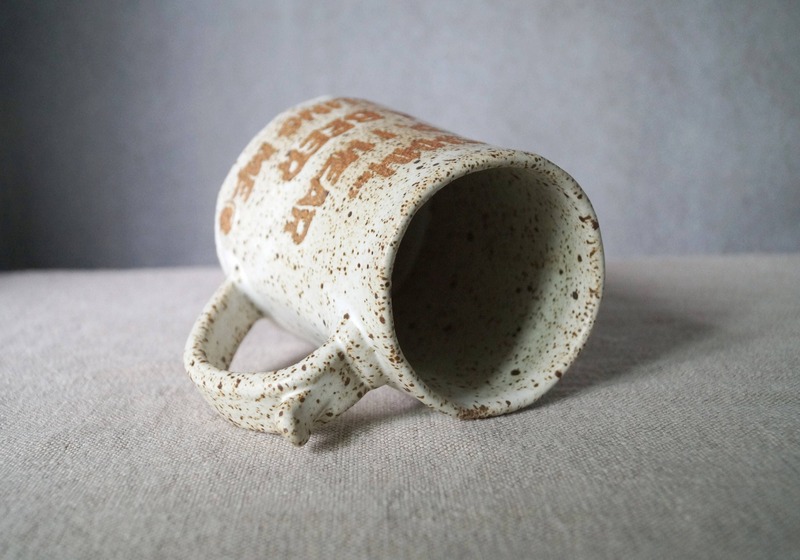 The temperature is at the top of the firing range for ceramics and makes the clay very strong and vitreous. Stein dimensions are 5" (height), Bottom Diameter: 4" Top Diameter: 3"
All of my glazes are food and dishwasher safe.